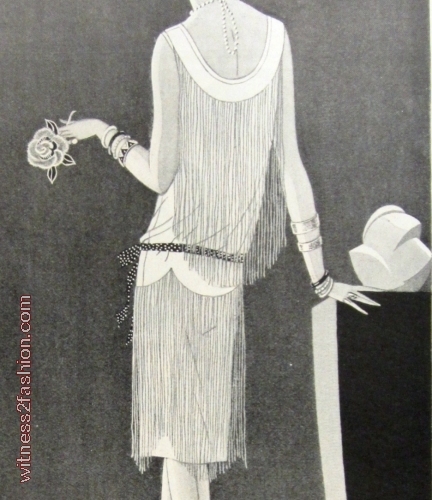 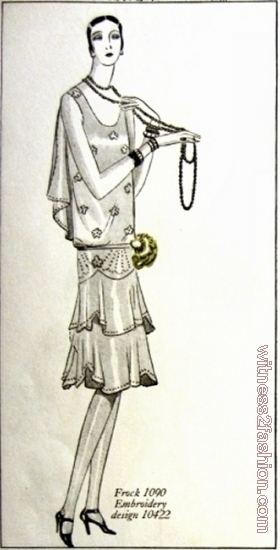 In this illustration by Jean Desvignes for The Delineator, Butterick pattern #1090 is a classic of Style Moderne, the repeated curves of the lines of fringe accented by the repeated triangles in the model’s jewelry – and in the shape of her fingers, her stockings, and the elongated triangle formed by her legs. 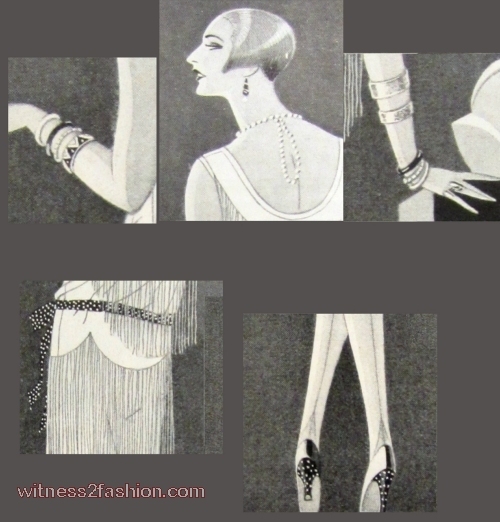 Even her shingled hair, worn smooth over the crown, curves to expose her earlobes and dangling earrings; the curves of the stylized 1920s rose in her hand and the curves and angles of the constructivist sculpture on the table echo the fringe. 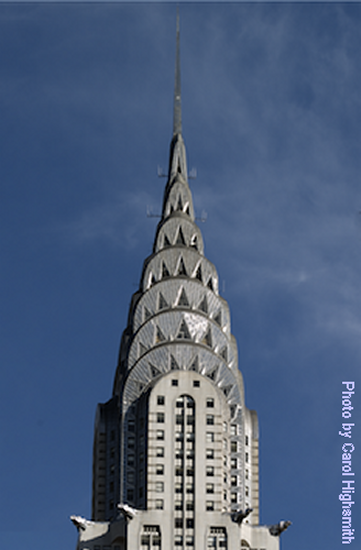 The tout ensemble reminds me of the Chrysler Building. 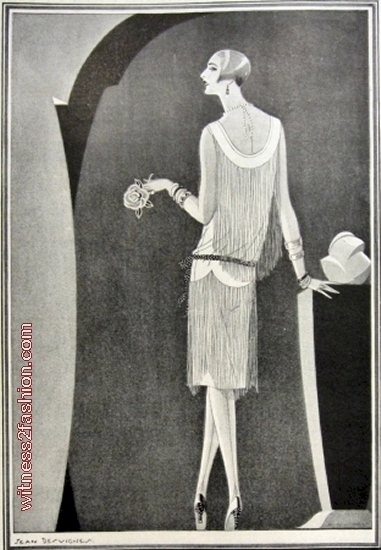 Devignes’ illustration was part of an advertisement for Butterick patterns, so it’s interesting to compare his version with this conventional pattern illustration, which appeared elsewhere in the same issue of this Delineator magazine.